Inviting curb-appeal, maintaining and increasing value, as well as proper protection from the elements are all major benefits from exterior painting. Homes and commercial buildings need to be proactive in maintaining these outside surfaces, especially in Denver, and exterior painting is the key element to do so. We begin with extensive preparation by hand-scraping all surfaces that are flaking, peeling and/or cracking. Once all loose paint is removed we fill all holes with an exterior-rated spackle and fix and/or replace all damaged siding and trim boards. Once all surfaces are sound we proceed with a spot priming scraped areas and caulk all water entry points to prevent water from entering where it should not. Final step is to apply paint with brush, roll and spray application. Our thorough exterior painting process allows you to gain many more years of durability from your exterior paint service. We highly recommend you invest as much as possible into high-quality exterior paints – never commercial or contractor-grade paint. High-quality exterior paints have high-quality ingredients – resins, binders, solids and more. 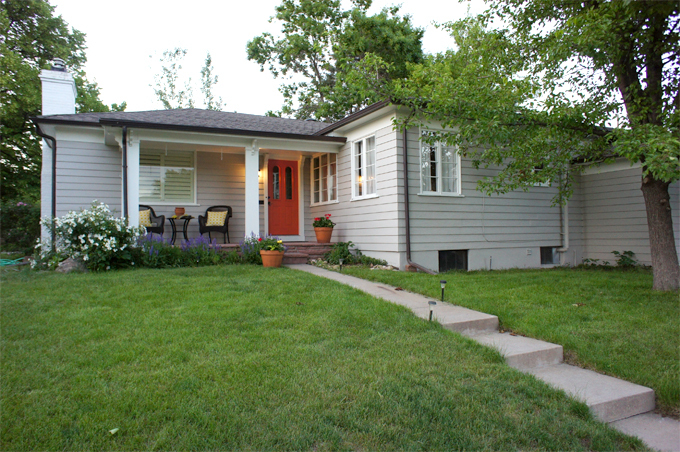 With high-quality exterior paints you may invest more money up front, however, much less in the long run. You won’t need to repaint your home in the next 4-6 years, like with a cheaper paint. With new exterior paint, your property will welcome guests – whether into your home or business – with open arms, while at the same time maintaining and increasing its value.